debt Archives - Africa M.E. Sub-Saharan Africa’s most indebted countries are revealed in the latest figures from the World Bank and the IMF. Recent figures from the World Bank and the IMF provide a clear picture of which of Africa’s sub-Saharan nations have the highest levels of debt. The figures illustrate national debt as a percentage of the nation’s GDP, as opposed to ranking nations on absolute debt. This is an important distinction, as it accounts for how significant the effect of a government’s debt could be to its economic future. For example, South Africa has the largest overall debt in absolute terms – with a huge 158 billion euros worth – but it also has a much larger GDP then most African states. This larger economic base ensures that South Africa is not even in the top ten of the most indebted nations. The ten most debt laden countries of sub-Saharan Africa (with the percentage of their GDP that debt represents in parentheses) are Eritrea (126%), Cape Verde (122%), Gambia (97%), São Tomé and Príncipe (92%), Congo (79%), Ghana (74%), Malawi (73%), Angola (70% ) and Seychelles (65%). In contrast, the ten nations with the lowest percentage of their GDP represented as debt were Nigeria (13%), Botswana (16%), DR Congo and Swaziland (20%), Equatorial Guinea (25 %) and the Comoros (29.2%), Namibia (31%), The Ivory Coast and Burkina Faso (33%) and finally Mali (35%). Across the entire sub-Saharan region this averaged out at a 52% debt to GDP ratio, which actually compares favorably with Europe, in which the average is 92%. What is clearly of significance is the degree to which an economy is likely to grow, and thus manage its debt without it becoming crippling. Moreover, what is sustainable for a developing nation is markedly less than it is for a developed market. While 40% is generally seen as manageable for emerging economies it can be significantly higher for large, more established markets. The good news for Africa as a whole is that average GDP growth is second only to South Asia. A more cautionary view would note that borrowing is also growing quickly, and unforeseen humanitarian disasters, such as the 2014 Ebola outbreak, can have huge economic fallout in developing markets. The single largest impact on the once debilitating debt levels in Africa occurred with the 1996 Heavily Indebted Poor Countries Initiative (HIPC). The internationally developed program was managed by the World Bank, in conjunction with the IMF and the African Development Bank. 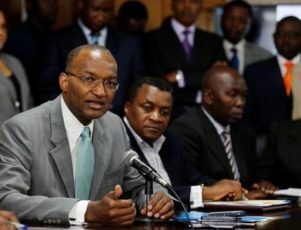 The initiative was further bolstered by 2005’s Multilateral Debt Relief Initiative, which was managed by the same trio, and led to 35 sub-Saharan nations eradicating over $100 billion of external debt. While this allowed many nations to invest in social infrastructure, for others it simply meant writing off overdue debt, but did not create new streams of revenue for investment. Whether a nation wrote off old debt, or managed to put new resources into development, all of the affected nations profited in one key area. However, a trio of The World Bank’s own economists feel confident that “overall, governments have been borrowing responsibly”, and the IMF have ensured that guidance is being provided to help nations manage their debt constructively. It is important for nations to be prudent with their borrowing, but even with some worries over rising debt, most experts feel genuine progress has been made. JOHANNESBURG (Reuters) – Rate increases by South Africa’s central bank have left at least 10 million people crippled by debt in a country where many people buy on credit. The result may be a further slowdown in South Africa’s slumping economy, which is now expected to grow just 0.9 percent in 2016. That would only aggravate the problem for those struggling with debt. South Africa’s unemployment rate is already at a record high of nearly 27 percent. Food prices are soaring as a drought afflicts southern Africa. Consequently, many households are borrowing to put food on the table. But inflation exceeds the central bank’s target of 3 to 6 percent, leading it to raise interest rates by 200 basis points in the past two years. Inflation slowed to 6.2 percent in April, but commercial banks have raised their lending rates. Home loans now average around 10.5 percent, up from a low of 8.5 percent in 2012. 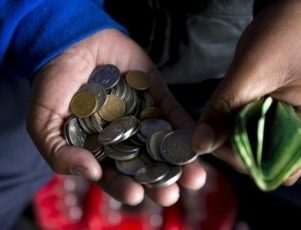 “Almost 75 percent of the income of the average household in South Africa is spent towards credit providers, to pay debt, so at the end of the day they don’t have enough money left to pay for their living expenses,” said Neil Roets, chief executive of Debt Rescue, a local company that helps clients manage debt. “It’s had a devastating effect on consumers, especially because of the fact that a lot of consumers already find themselves in a situation where they are over-indebted,” he said, referring to the rising rates. Industry officials say about 47 percent of the consumers that buy on credit are in debt arrears. About 10 million people, or a fifth of South Africa’s 52 million people, buy on credit. The TransUnion South Africa consumer credit index, a gauge of consumer credit health, fell to a three-year low in the first quarter of this year. Debt defaults, defined by three months of arrears, rose 1.8 percent year-on-year during the quarter, after shrinking 5.3 percent in the fourth quarter of 2015. Analysts said South Africans are still paying the price for unbridled lending that fuelled a consumer frenzy. That helped the economy grow an average 5 percent a year in the five years before 2009, when a recession wiped out nearly a million jobs. Households are now reluctant to take up new debt. Private sector credit grew in April at its slowest rate since late 2013, central bank data showed. Retailers are feeling the pinch across the board, with consumer demand for non-essential goods in particular dropping. New vehicle sales fell 10.3 percent in May from the same month last year, the sixth consecutive contraction. “Both consumer and business confidence is unlikely to improve significantly in the short term, given the poor economic outlook and the poor job market,” Nedbank analysts Johannes Khosa and Dennis Dykes said in a note. JOHANNESBURG (Reuters) – With their economies floundering and currencies sinking, African states that have borrowed heavily in dollars may be slipping back into the debt trap – and ultimately default – only a decade after a far-reaching round of debt forgiveness. Some are looking to issue more Eurobonds to refinance existing foreign currency loans, but with U.S. interest rates set to rise soon, the inevitably higher borrowing costs will do little to alleviate pressure on creaking state budgets. Top of the list of ‘at risk’ countries, according to experts, is Ghana, the first African sovereign after South Africa to go to the international markets when it launched a debut $750 million Eurobond in 2007. 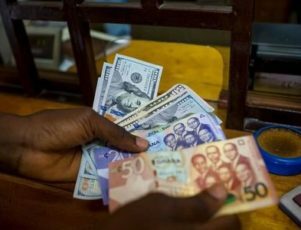 Since then, Accra has issued two more bonds of $1 billion each, helping pushing total public debt to 71 percent of gross domestic product (GDP), according to data published this week. This compares to 50 percent in 2005, the year anti-poverty campaigners Bono and Bob Geldof persuaded rich countries to write off billions of dollars owed by Ghana and other African nations. Ghana’s central bank governor Henry Kofi Wampah dismissed the levels of debt – half of it in dollars – as “not very dangerous” but most analysts disagree, mainly due to the decline in the West African nation’s currency. When it launched its debut bond in 2007 with an 8.5 percent interest rate, the cedi was virtually at parity with the dollar. It is now around 4, meaning the government is in effect servicing a loan equivalent to $3 billion. 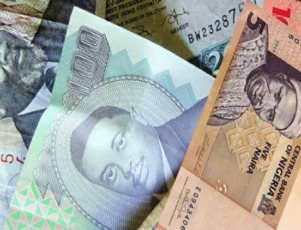 Accra agreed a $918 million, 3-year rescue package with the International Monetary Fund in April, but even if the programme works the Fund admits the government’s interest payments are likely to stabilise at an eye-watering 40 percent of revenues. And in reality the IMF package – essentially a dollar loan with slightly more favourable interest rates – is merely papering over the cracks. “The longer the commodity slump continues, the more countries will enter into crisis – and then you just can’t get out,” said Tim Jones, an economist for the London-based Jubilee Debt Campaign, an anti-poverty group. 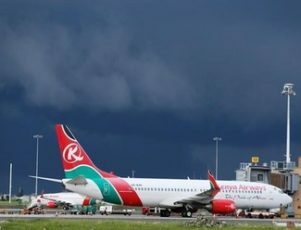 Overall, Fitch says African sovereign debt levels have risen to 44 percent of GDP from 34 percent five years ago, with Zambia and Kenya – which are running budget deficits approaching 10 percent of output – looking particularly vulnerable. Zambian finance minister Alexander Chikwanda told Reuters this week he would prefer not to have to go to the IMF for help – like Ghana, the southern African copper producer faces an election next year – but his options are narrowing. As with Ghana, domestic yields are as high as 24 percent and since Chinese growth has cooled, leaders from Zimbabwe’s Robert Mugabe to Angola’s Jose Eduardo dos Santos have found Beijing to be an increasingly reluctant lender. The cost of refinancing through more global bond issuance is also rising, as shown by the hefty 9.375 percent interest rate Zambia had to pay when it sold a $1.25 billion bond in July. 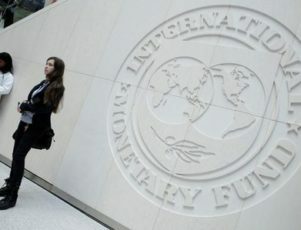 There is also the issue of moral hazard for the IMF, which, in positioning itself as a backstop, can be accused of encouraging reckless behaviour – both by rich-country lenders who know they will be bailed out, and by governments who fail to live within their means or wean their economies off commodities. Oil producer Angola has told Reuters it plans to borrow $10 billion this year. The IMF expects Angolan public borrowing to hit 57 percent of GDP by end-2015. If it comes down to it, default and restructuring is likely to be messier than 2005 due to the presence of so many commercial investors in Africa’s debt mix, as opposed to the bilateral lending that prevailed before then. “As sub-Saharan African sovereigns are moving away from bilateral and concessional lending and more towards market lending, debt forgiveness is less likely,” said Matt Robinson, an African sovereign ratings analyst at Moody’s.